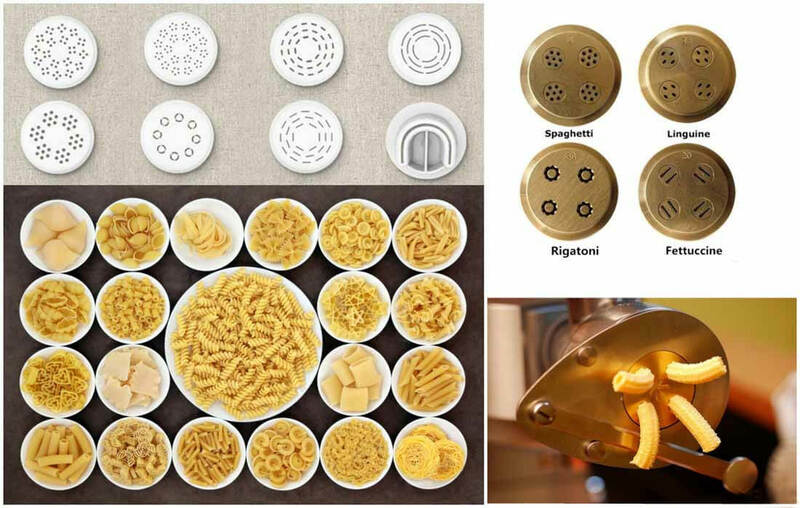 Multifunctional pasta production line has always featured high technology, reliability, and flexibility in order to ensure not only the production of traditional shapes but also special shapes by means of cutting devices and additional machines. 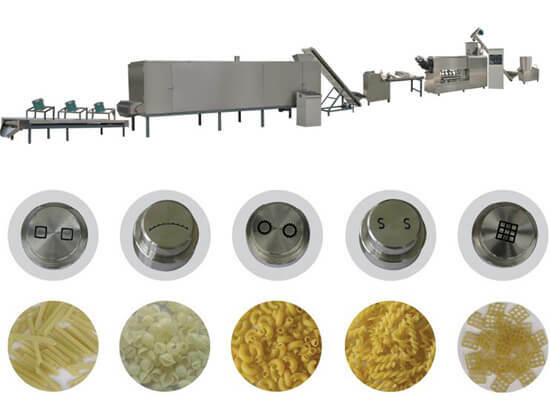 The automatic macaroni line capacity is featuring output from 80 up to 120 Kg per hour are available, by “batch” or continuous extruders equipped with vacuum extrusion device and static or continuous dryers, depending on the customers’ specific requirements. We can also customize solutions of other capacities. 2. Capacity: 80-120kg/h, we can also customize other capacities according to your needs. 5. Voltage: all the voltage frequency of the machines can be made to fit your work environment. 6. 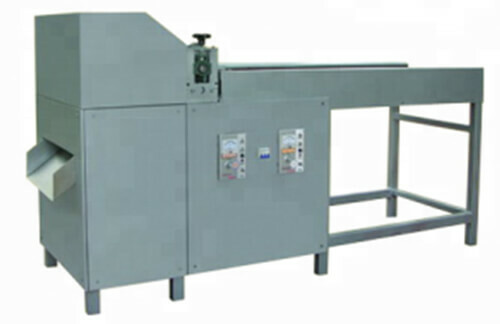 Machines materials: All the machines are made of stainless steel to prolong the service life of the equipment. Mixer makes the raw material adding to water and liquid chemical additive fully mixed. 1. This part that contacts mixer to material adopts the stainless steel material. 2. The discharge hole adopts the new handle-opened design, good seal and avoids leaking the material. 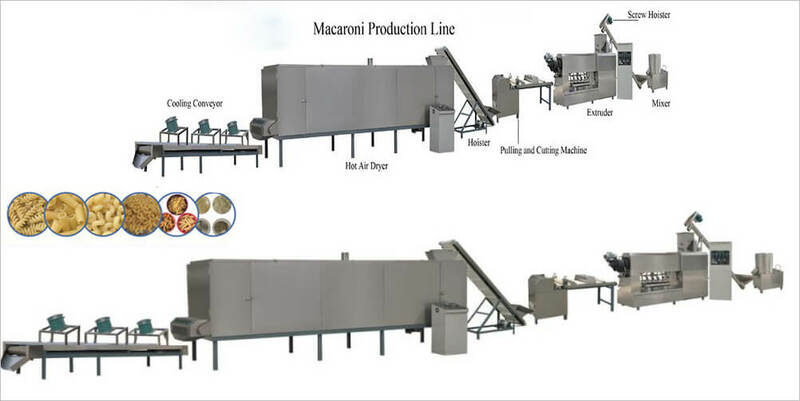 Used for conveying the raw material to the feeder of the pasta extruder from the material mixer. 1. Pulling cutter is used to cutter long square pipe, circle pipe. 2. 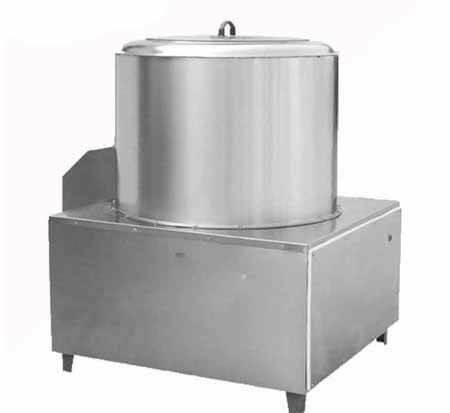 Cutter is made of one part with stainless steel net and cut part. 3. It is very easy to operate, adopting frequency controlling. 2. The conveyor can be classified into rubber tape and stainless steel. It is 5-layer oven, used to bake and dry the food. The oven can bake all kinds of the inflating food, pet food, TVP/TSP food, peanut, nut, chew nut and so on. 1. The oven has a compact structure, little space occupying, large drying area, slight radiating heat and high thermal efficiency. 2. The belt and the heat preservation use the stainless steel; it is suitable for the food industry. 4. The temperature can be controlled willfully and designed according to the need. 7. Sliding board bottom of the dryer for easy cleaning. 8. 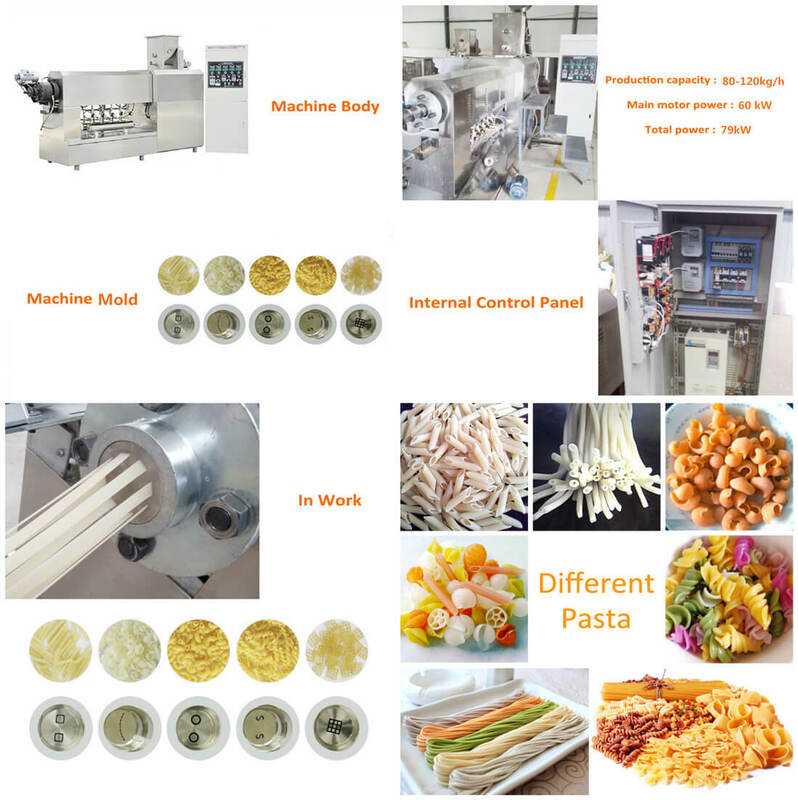 Suitable to dry non-fried extrusion snacks, nutritional powder, breadcrumb, pet food, soybean protein, etc. 6. Warranty: At least 1 year from the date of completion of the commissioning.